A high grade star diagonal mirror with a very precise mirror surface (approx. 1/12 lambda) for demanding users. 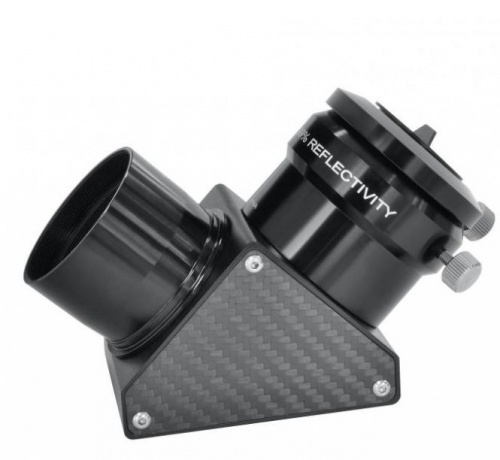 99% reflectivity means more light and thus a brighter image. At the same time the dielectric coating is very strong and protects the mirror's surface.